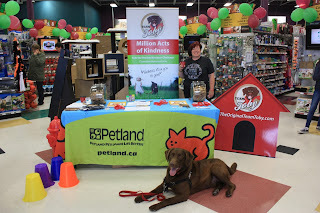 Today's blog is from our Team Toby event coordinator extraordinaire Julie!. kicked off at the end of August in Port Coquitlam. cut out paper pawprints for $2, with all funds supporting donations of Toby's books and classroom resources into local schools. Anticipation was building the closer we got to our take-off time, but the team was really excited to hit the open road in the Kindness RV sponsored by our friends at Fraserway RV! 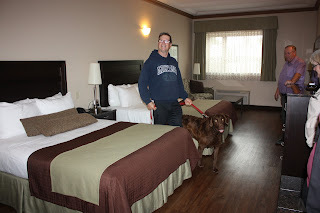 we were happy to arrive to our first destination safely, and we pulled into the Best Western Kamloops for the night. greatly appreciated, this was the second year that they hosted Team Toby. 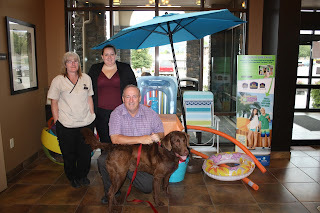 The next morning, I had a chance to meet the general manager Tim at the front desk. He and his staff took some time out of their day to show me around the hotel and impressed me with their love for animals. 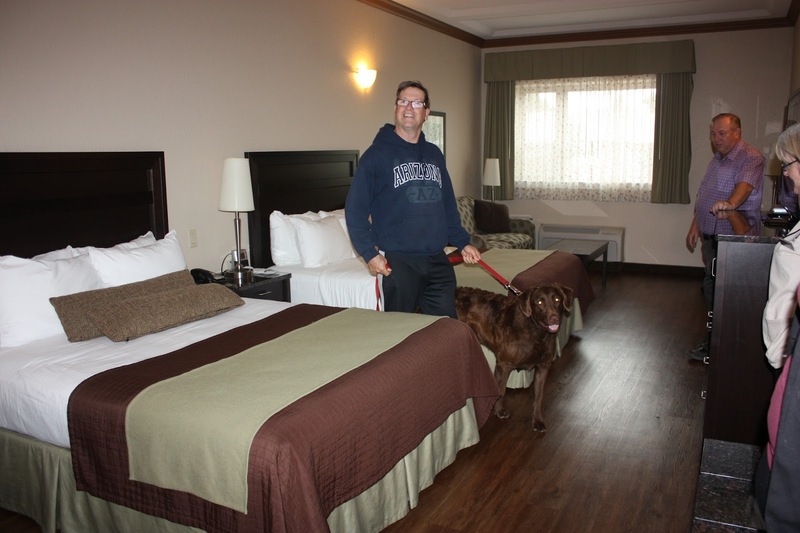 Not only did they double their pet-friendly rooms within the last year, but they renovated all their pet-friendly rooms to hardware floors! Toby gave his bark of approval and promised the staff he’d see them again on his next visit to Kamloops, and the team took off to our next stop. 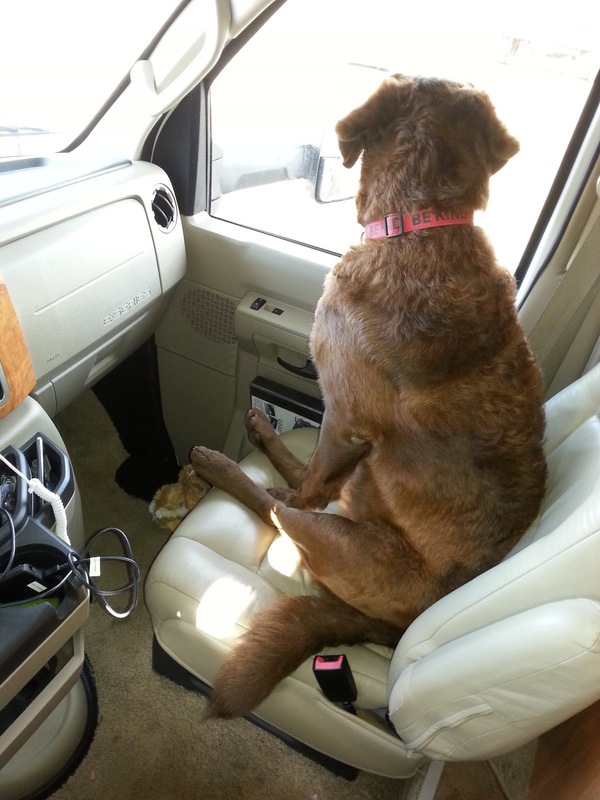 It's me....Toby the dog... travelling across North America on a Million Acts of Kindness tour with my humans! And this is my blog.... life through the eyes of a dog. ... like our team member Julie. She is PAWsome! 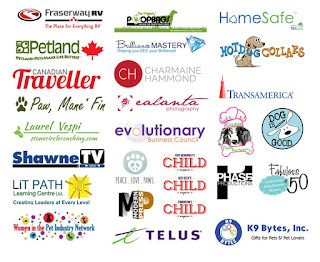 Businesses collaborating to make a super fun event for families, kids and pets. Thanks Westoba Credit Union, Petland Canada, Fraserway RV, The Original Poop Bags, Telus, Holiday Inn, and Canadian Traveller Magazine! And of course all TAILgate parties need awesome music! Thanks to the DJs at the event. Have you posted your act of kindness on our Kindness Matters Page? Share the acts of kindness that have impacted you or someone you know. Together we can make a difference! 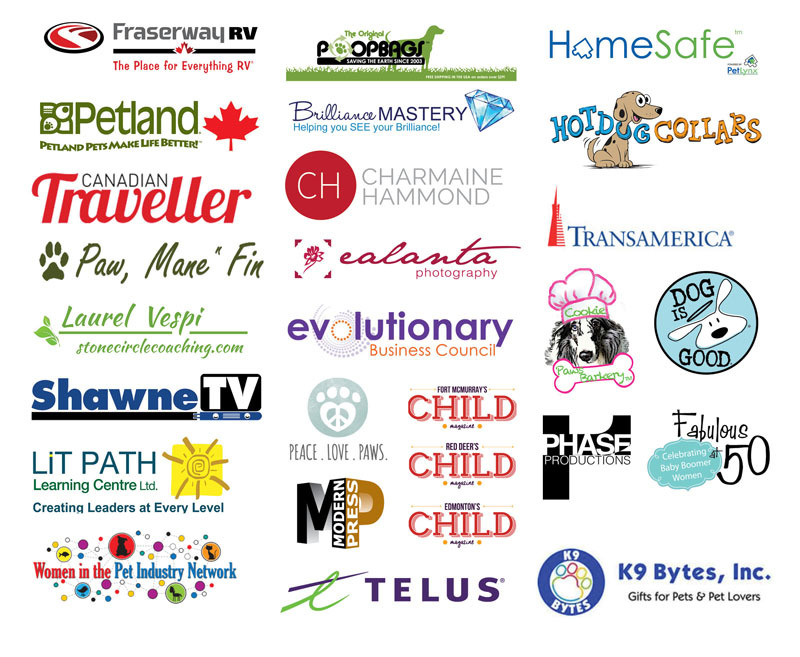 Thank you to our incredible Million Acts of Kindness tour partners! 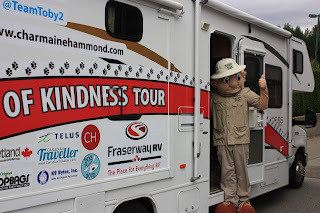 Remember to follow our tour on Facebook, Twitter and Instagram!